Our big list of pre-workout supplements contains practical ingredients to boost endurance and reduce muscle damage during exercise. In general, pre-workout supplements can improve overall physical and mental performance during a workout. 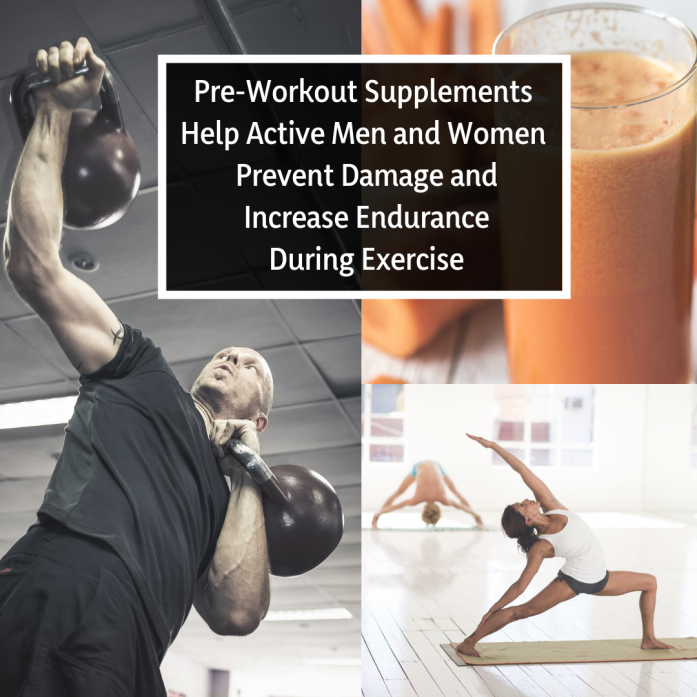 Active men and women from endurance athletes to yogis to bodybuilders can use pre-workout supplements for optimum performance and damage-prevention while training. However, some of us don’t know enough about pre-workout ingredients to get started. As a result, this list will explain various high-quality pre-workout ingredients and their benefits. Pre-workout supplements offer a wide variety of benefits to help you achieve your fitness results faster. Moreover, considering how you tend to engage in which physical activities will help you determine the right pre-workout ingredients for you. The following list of pre-workout ingredients will help you choose the ideal pre-workout formula designed to suit your unique physical activity. These supplements can help you experience maximum gains and fat loss during exercise. And if you’re looking for specific brands and products, check out our reviews of the best pre-workout supplements of 2018 designed for all types of fitness lovers. Agmatine Sulfate is a compound that comes from arginine. It is naturally present in different tissues and organs in the human body. This pre-workout ingredient primarily helps with proper blood circulation by increasing nitric oxide levels and supporting proper brain function. In addition, it even acts as a nootropic for neuromodulation. The best thing about agmatine sulfate as a pre-workout is that it is an adaptogen that helps the body cope with stress. Seeing as stress also occurs during and after intense exercise, this compound may be very helpful. However, more research should be done on it as a pre-workout specifically to determine its effect on maximum gains. Alpha GPC is a high-quality pre-workout ingredient with multiple health benefits. It comes primarily from soy lecithin, which is easily absorbed by the body. Not only is alpha GPC good for the body, but it’s good for the brain. It’s a known nootropic ingredient that helps with overall brain health and cognition while supporting the muscles during a workout, especially during resistance training. In addition, alpha GPC is an ideal source of choline for the brain. Choline is then converted into acetylcholine. And the muscles need acetylcholine for contraction. Moreover, acetylcholine can enhance growth hormone (GH) production, which is essential for muscle growth, fat loss and bone density maintenance. However, the scientific research and clinical trials involving alpha GPC are mostly funded by a dietary supplement company. So research supporting the effects of it may be biased. Just keep that in mind. Arginine is a semi-essential amino acid often found in various pre-workout supplements. It promotes blood circulation to enhance muscle performance during workouts and reduce post-workout muscle recovery time. This is primarily because arginine increases nitric oxide (NO) in the body. Arginine can also heighten energy levels by increasing creatine in the muscles by about 1-2%. This is a significant number during an intense workout wherein energy is most essential. In addition, arginine may even increase growth hormone (GH) levels. Astragalus is a famous Chinese herb that acts as an adaptogen during exercise. It’s a pre-workout supplement because it can increase muscle endurance during exercise. It’s also a potent antioxidant. However, it may be more effective when combined with other pre-workout supplements. In addition, the effects of astragalus have only been confirmed in animal studies thus far. Athletes who ingest baking soda as a pre-workout regimen call it “soda doping.” But why on earth do they do this? You see, baking soda is an alkaline compound with a pH of 9. This means it can prevent lactic acid build up in the muscles, which may help prevent or minimize post-workout muscle pain or fatigue. 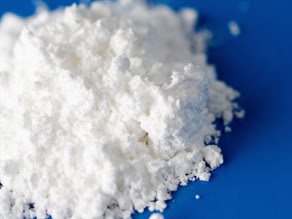 Since baking soda can prevent muscle fatigue, it may also prolong endurance during a workout. Moreover, baking soda is an adaptogen that helps the cells adjust to intense physical activity and prevent performance decline in athletes. Overall, clinical trials on baking soda as a pre-workout are promising. Not to mention, it’s a cheap and readily available pre-workout product. Branched Chain Amino Acids or BCAAs are composed of all 3 essential amino acids including isoleucine, leucine and valine. These amino acids are grouped together to form a branched-chain, hence their name. For one, BCAAs are essential for healthy body function. And we must replenish them daily since the body cannot store them. However, additional BCAA supplementation before a workout may also improve muscle growth and recovery by promoting muscle protein synthesis during the workout. On the other hand, arguments against BCAA supplementation suggest we don’t need BCAA supplements because we can get them from common foods. As such, BCAA supplementation may be unnecessary for some; but it’s still essential for many, especially low protein dieters. Overall, BCAAs are effective pre-workout supplements for fat loss and muscle maintenance because they can protect the muscles from damage during exercise. In addition, low protein dieters are more prone to malnutrition and muscle loss, which they can prevent with a BCAA pre-workout supplement. Beetroot is a common vegetable we can easily get from daily foods or beverages. But, did you know it’s a great pre-workout ingredient, too? It’s true, beetroot is considered a superfood because of its exceptional nutritional value. It provides the body with essential vitamins and minerals, contributing to wholesome nutrition and overall physical performance. The nitrate content of beetroot is the primary reason for its effectiveness as a pre-workout ingredient. Nitrate can lower the oxygen requirement of the muscles during exercise. This improves muscle efficiency and endurance during the workout. In addition, beetroot is easily absorbed by the body, making it an ideal pre-workout ingredient for any physical activity. 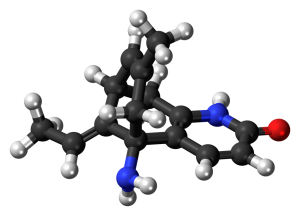 Beta-Alanine is naturally found in the body just like any other amino acid. However non-essential, it can also be obtained from food or dietary supplements. In addition, beta-alanine is an effective pre-workout ingredient that can improve muscle performance and endurance. Primarily, it helps by supporting carnosine synthesis in the muscles. Carnosine has also shown to have anti-aging properties in animal studies. Improving muscle performance and endurance can be very beneficial during resistance training, bodybuilding and endurance sports. Though relatively new, beta-alanine is a common ingredient in modern-day pre-workout supplements for this reason. Actually, it’s often compared to creatine since they both offer similar effects as pre-workout supplements. However, beta-alanine elevates muscle carnosine levels somewhat slower than creatine. Betaine is an effective pre-workout supplement and nootropic found in food, beverages and dietary supplements. It can help us gain muscle, lose fat and enhance cognitive performance. Betaine is an ideal dietary supplement for the body and mind. The effectiveness of betaine as a pre-workout is due to its involvement in some important body functions. For one, betaine is part of the methionine cycle. It is a methyl donor that supports the production of S-adenosylmethionine (SAM). S-adenosylmethionine (SAM) helps the body produce amino acids and protein to enhance muscle performance during a workout. 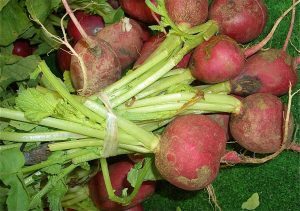 In addition, betaine can lower homocysteine levels to improve overall health. All in all, betaine is a solid pre-workout supplement and nootropic for the brain. Caffeine is another popular pre-workout supplement. It’s popular because it’s a stimulant that can improve cognition and initiate fat loss. For example, caffeine can enhance energy levels for optimum physical and mental performance. We can get it from beverages like coffee and tea as well as dietary supplements. 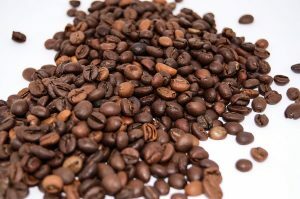 All things considered, caffeine is an efficient pre-workout regimen that works well with other pre-workout ingredients. Not to mention, there’s a ton of clinical research to back up its effects. However, caffeine can elicit negative side effects when taken in excess. Keep in mind that everyone is different and your sensitivity to caffeine may differ greatly from others. Citrulline Malate is a promising pre-workout supplement. It can improve anaerobic exercise performance by detoxifying the body and removing ammonia. In addition, citrulline malate is converted by the body into the semi-essential amino acid arginine. Arginine acts as a precursor for the synthesis of nitric oxide, ornithine, polyamines, agmatine, proline, glutamate, creatine, dimethylarginine, and urea. Specifically, citrulline malate may enhance muscle performance during exercise with its detoxifying abilities. It can also help prevent or minimize post-workout fatigue when used as a pre-workout supplement. Moreover, citrulline malate may even increase testosterone, which might help increase muscle mass even more (even for women). Conjugated Linoleic Acid (CLA) is present in meat, dairy products and pre-workout supplements. This fatty acid can potentially increase fat loss while supporting muscle growth. Due to this effect with unknown origins, conjugated linoleic acid is often present in dietary supplements. In addition, CLA can increase energy levels to further enhance workout performance. Research is still its early stages, but this pre-workout ingredient may be ideal for those who want to lose fat and increase muscle mass at the same time. 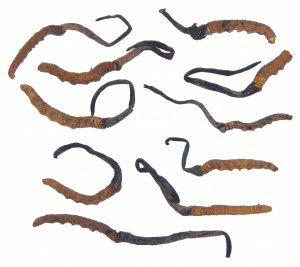 Cordyceps has been used in traditional Chinese and Tibetan medicine for ages. It’s a group of fungi that may ameliorate certain immune system disorders, support liver function and improve overall health. As a pre-workout regimen, cordyceps can enhance endurance and help prevent or minimize post-workout fatigue. This effect may be due to its ability to improve energy production in the liver in the form of adenosine triphosphate (ATP). However, research supporting the benefits of cordyceps as a pre-workout supplement is limited at this point. Further research should be done to confirm its effect as a pre-workout supplement. Creatine is naturally present in the bodies of humans and animals. It has many functions, especially during intense physical activity. As you may know, creatine is one of the most popular pre-workout supplements on the market today. This may have something to do with the numerous clinical trials that confirm its benefits. In addition, clinical trials show creatine has no significant adverse effects with short-term usage. So overall, creatine is a high-quality, safe and effective pre-workout supplement for any form of exercise. Eleuthero is an adaptogen that comes from a medicinal woody shrub native to Northeast Asia. Its effects are actually quite similar to Panax ginseng. Hence why it is nicknamed Tibetan ginseng despite the lack of relation between the two medicinal herbs. User reports state that using eleuthero as a pre-workout supplement can increase muscle endurance during exercise and reduce the effects of stress on the immune system. However, clinical trials on eleuthero supplementation remain conflicting and inconsistent. Ginseng is a famous herbal medicine, adaptogen and aphrodisiac found all over the world. But did you know ginseng can be used as a pre-workout ingredient? The herb ginseng not only helps improve physical performance, but it helps improve cognition. Not to mention, we can experience general health benefits from ginseng with or without exercise. 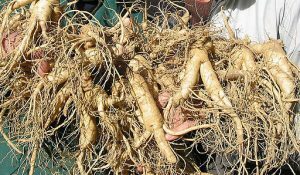 Despite the known health benefits of ginseng, clinical trials have not specifically demonstrated the effects of it as a pre-workout supplement. Nevertheless, it’s been used in Chinese medicine for thousands of years and may make a great addition to a pre-workout regimen. Glycerol is a triglyceride that isn’t well-known as a workout supplement. However, it is often present in workout formulas to prevent dehydration during intense exercise. Specifically, glycerol may boost muscle strength and endurance when taken pre-workout. It may also speed up metabolism and help with thermoregulation during exercise. However, controlled clinical trials on glycerol as a pre-workout remain conflicting and inconsistent. Grains of Paradise are members of the ginger family. They are a West African folk medicine that can help prevent or alleviate cardiovascular, gastrointestinal and pancreatic problems. However, recent clinical trials confirm grains of paradise can be an effective pre-workout supplement as well. Research suggests they can increase energy expenditure and reduce abdominal body fat in humans. All in all, grains of paradise are a high-quality pre-workout supplement with additional overall health benefits. Huperzine-A comes from a clubmoss species called huperzia serrata, which is also a nootropic. Huperzia serrata has been part of traditional Chinese medicine for several centuries. However, it is relatively new as a pre-workout ingredient. Nevertheless, it seems promising so far. As a pre-workout supplement, huperzine-A may increase physical and brain energy. It may also protect us from oxidative stress and muscle injury during intense exercise. Hence, it is also safe to consider Huperzine-A an adaptogen. Overall, huperzine-A may be a good pre-workout supplement for the body and mind. Isomaltulose is a healthier alternative to standard table sugar. It has fat-burning properties that support weight-loss by forcing the body to use fat as a source of energy. Ultimately, isomaltulose allows for more fat loss during exercise. However, research demonstrates it can actually burn fat with or without exercise. In the end, isomaltulose is a healthy source of sugar and energy that promotes fat oxidation. Plus, it may improve muscle endurance and exercise performance. Not to mention, it actually tastes good, unlike most pre-workout medicinal herbs. Leucine is an essential branched-chain amino acid and a precursor to protein. Research suggests that leucine can enhance muscle strength, endurance and development during exercise while promoting recovery post-workout. We can get leucine from various foods as well as dietary supplements. In addition, leucine pre-workout supplementation might be especially effective for those on hypocaloric diets and working weight-loss programs that support the muscles. Nitric Oxide (NO) plays a vital role in vasodilation to enhance blood circulation. However, various different pre-workout ingredients can boost nitric oxide levels. So is direct nitric oxide supplementation necessary? Most pre-workout supplements combine nitric oxide with other herbal ingredients that can raise nitric oxide levels. NO can increase the oxygen supply to the muscles by promoting blood circulation. It can even increase muscle pumps for bodybuilders and the like. However, nitric oxide supplementation might be unnecessary for powerlifters, sprinters and athletes involved in short, high-intensity movements and anaerobic exercise. Rauwolscine is one of the best pre-workout supplements for weight-loss because it can improve mood while burning fat. 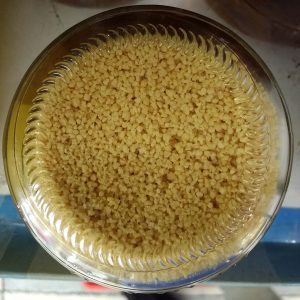 Its chemical structure is very similar to yohimbine, which is another popular fat burner and aphrodisiac. On the other hand, research on rauwolscine as a pre-workout regimen is limited in terms of human clinical trials to date. However, animal trials are promising. Rhodiola rosea is a high-quality adaptogen and nootropic found in Eurasia and North America. It can combat the detrimental effects of stress on the body and mind. As a pre-workout supplement, Rhodiola rosea can boost energy and increase endurance. It might increase testosterone levels, too. This further supports increases in muscle mass and strength, especially with resistance training. Overall, Rhodiola rosea is a great pre-workout supplement to ameliorate muscle fatigue during and after intense training. It is also an effective nootropic that may increase motivation and focus for a workout. 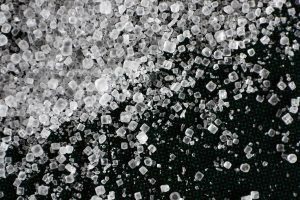 Salt is an important mineral that supports our most essential physiological functions in the body. Active men and women like to consume it in supplements before a workout to prevent electrolyte imbalance during exercise. Sports beverages and other supplements often contain salt to help hydrate active men and women during and after a workout. Intense physical activity increases sweat rates, which leads to a loss of fluids and sodium. We must replenish such sodium and fluids throughout a workout to keep us hydrated. Moreover, not only is salt a practical pre-workout ingredient, it is ideal for post-workout recovery as well. As it turns out, replenishing the body and muscles with the proper nutrients before, during and after a workout can help us maintain energy and reduce recovery times all together. Taurine is an abundant amino acid responsible for cellular fluid balance, fat loss and muscle protection in the body. It may also be a great adaptogen that helps the body combat oxidative stress during exercise. As a pre-workout regimen, taurine can prevent muscle damage during exercise and improve anaerobic exercise performance. Research suggests taurine may also be able to increase muscle power. Overall, taurine is an ideal pre-workout supplement for powerlifters, sprinters and other athletes involved in anaerobic exercises. 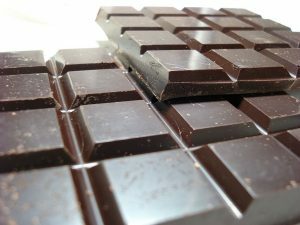 Theobromine is a mild stimulant primarily found in cocoa beans. 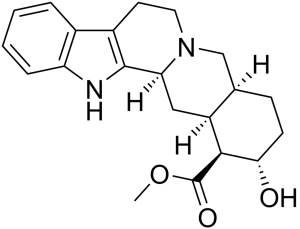 Its structure is similar to caffeine. However, theobromine has less potential side effects. All in all, theobromine is an effective pre-workout ingredient and nootropic. It has antioxidant properties and can enhance blood circulation, increase bronchodilation, regulate blood pressure and improve mood. In addition, theobromine lasts for up to 10 hours and is easily absorbed by the body. However, scientists should do further research to verify its effects. Vitamin B12 or cobalamin is an essential vitamin that helps the body convert food into energy. In other words, it increases energy production and cell synthesis. The body cannot produce cobalamin on its own. Hence, we must get it from food or dietary supplements like pre-workout supplements or multivitamins. Luckily, most pre-workout supplements contain cobalamin to help active people increase energy levels prior to working out. Overall, cobalamin or vitamin B12 is a solid pre-workout vitamin that can boost energy for better performance during exercise. Vitamin C is one of the most popular vitamins and antioxidants on the market today. We can get it from natural sources like fruits and vegetables or from dietary supplements and beverages. As a pre-workout supplement, vitamin C can help reduce post-workout muscle soreness. It is an essential vitamin for healthy bones, blood vessels, teeth, and other tissues. In addition, it’s essential for immunity and the prevention of certain diseases caused by vitamin C deficiencies. However, vitamin C supplementation may also decrease training efficiency by preventing certain cellular adaptations that are meant to occur during exercise. This means too much vitamin C before a workout might not be good for endurance athletes and the like. On the other hand, pre-workout vitamin C intake may help obese adults stick to their weight-loss programs. Basically, the effectiveness of vitamin C as a pre-workout ingredient depends on the user’s daily physical activities. Yohimbine bark is a traditional African aphrodisiac. Recently, it has also been used as a pre-workout supplement because it may improve physical performance. However, yohimbine is banned in the U.S. due to potentially harmful side effects. In addition, clinical trials on yohimbine are still in their early stages. It may be an effective pre-workout supplement for fat loss, but the potential side effects are somewhat concerning.